-OR- $2,500 Cash bonus on the 2019 Jetta. PLUS, $0 First payment, $0 Security Deposit, and $0 Down payment on most models. 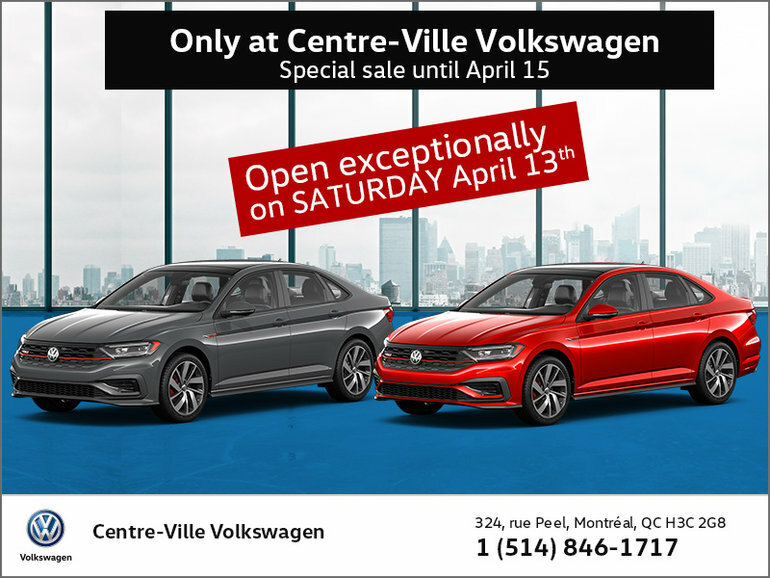 HURRY-IN, Ends April 22nd 2019! *Conditions apply. Up to $400 on the lease of most models. ** For 2019 Jetta including the all-new GLI.